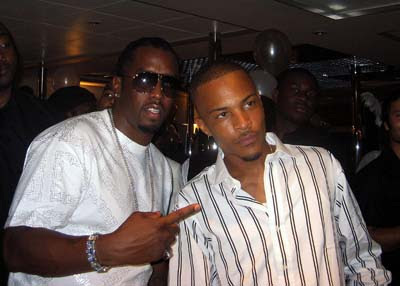 KayKiSpeaks.com: TI On Rumors He put Diddy In His Place!! The BET Hip Hop Awards brought some of everybody to my metro area of ATL this past weekend. Though the awards honor some of Hip Hop's greatest acts..what seemed to be the talk of the town was not the award show, but the "beef" that brewed at an after party. Hometown Rapper TI who was just released from serving time just in time for the awards was rumored to have "checked" and even put hands on Diddy in a popular club here in Atlanta! TI caught up w/one of the hottest stations here in Atlanta-WiLD Atlanta & David J to give his side of the story..... WOWZERS.. Click HERE to visit their site & listen to what TI says really went down & be sure to tune into WiLD 105.7 from 2pm-6pm..good folks over there & great music!